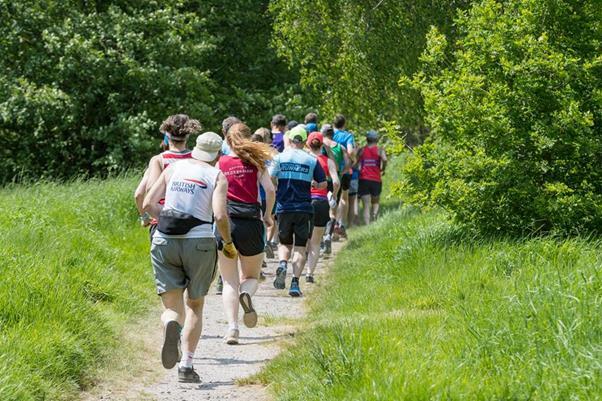 The Green Belt Relay is a not-for-profit annual running relay organised by The Stragglers running club, and all surplus funds from the race are donated to charity. This year the race was in aid of the Marie Curie charity. The 22nd Green Belt Relay took place on the weekend of 19-20th May 2018. Results by stage are here. The race had a record number of 50 teams and was run in glorious sunshine. Thanks to all captains, runners, organisers, and the various parishes, pubs and cricket clubs who put up with us along the way. It is organised by The Stragglers running club, has been going since 1995, and involves around 40-45 teams. Runners form teams of 11 people, and each runner runs one stage each day. The race is each year around the third weekend of May. It starts at 8:30 on Saturday morning, going on to stop at around 7:30pm at the end of stage 11 in Blackmore, Essex. It resumes at 8am Sunday, and finishes at around 6:30pm Sunday. Exact start times for each stage are listed on the course details page. 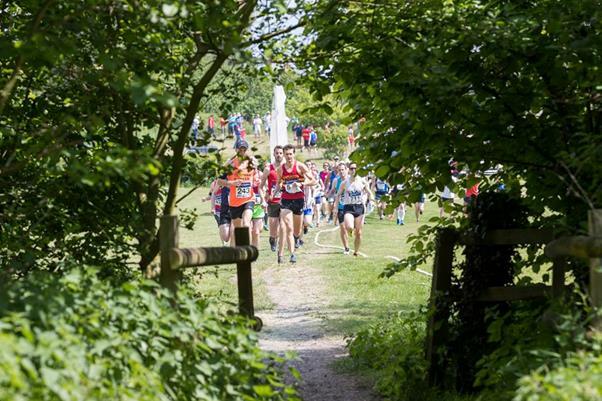 The course weaves its way around the villages, rivers and paths of London's green belt, starting at Hampton Court Palace and ending with a barbecue and prizegiving nearby at our club headquarters in Kingston. The course details page gives you everything you need to know about the course and stages - timings, maps, changeover details. Each stage averages about 10 miles, but difficulty levels and distances vary. The route largely follows the Green Belt Way, a related long distance walking route. You'll find a wealth of background detail here - the race founder Sean Davis has walked every inch of the 220 miles and visited every church, castle, windmill, lockkeeper's cottage and perhaps even pub along the way, and you can enjoy his unique take on each stage as you go. Various prizes are on offer, and there is quite intense competition for the honour of winning stages, setting stage records, and competing for the team events, ranging from the "Green Belt" (fastest team) to the much-coveted "Toilet Seat" awarded to the slowest team to compete the full course. The race also raises money for various charities, both from individual teams and from surplus funds. The chosen charity for the 2017 race is the Princess Alice Hospice. The race is open to anyone who can get 11 runners together to form a team, and is open to all standards of runners.